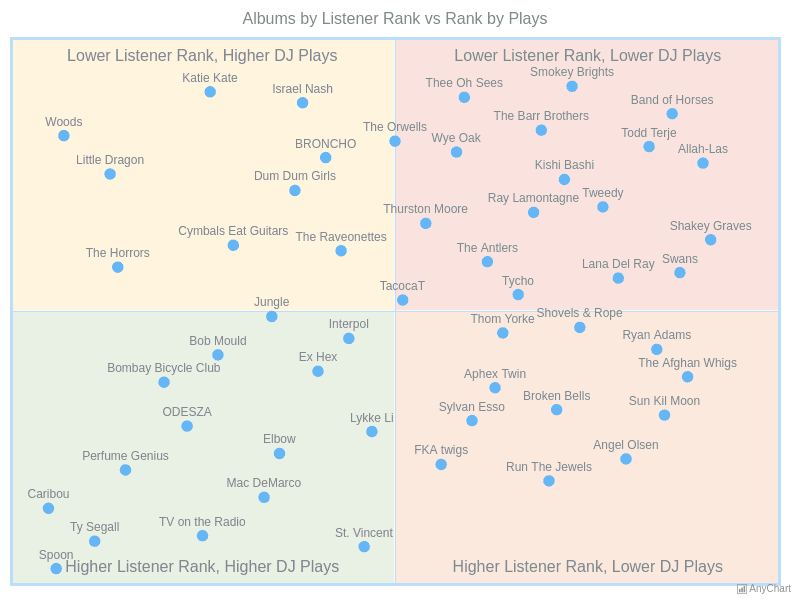 Albums by Listener Rank vs Rank by PlaysQuadrant Chart of the best music albums, based on KEXP's poll data. The visualization is helpful in understanding the correlation between the number of DJ plays and the level of listeners' appreciation and in identifying the best overall albums and artists from this perspective. 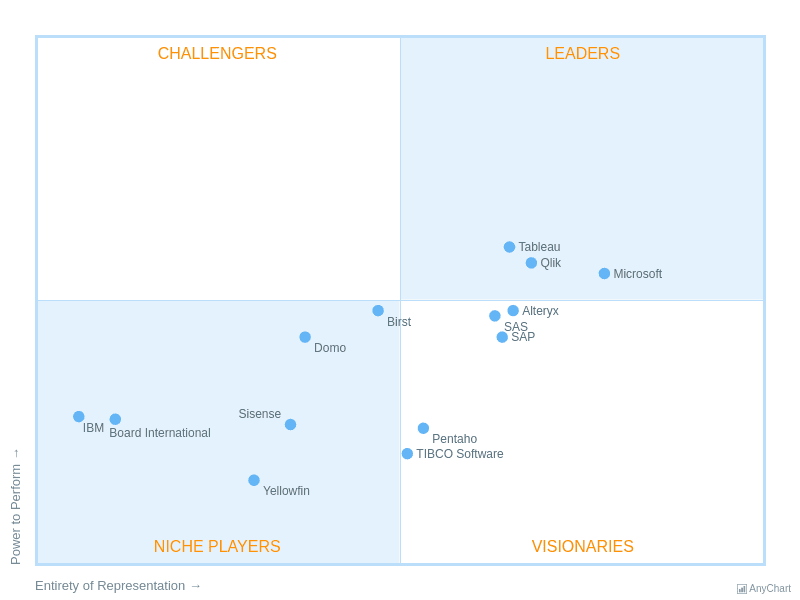 BI Services ComparisonGartner Magic Quadrant distributes companies into four quadrants by the levels of ability to execute and completeness of vision. 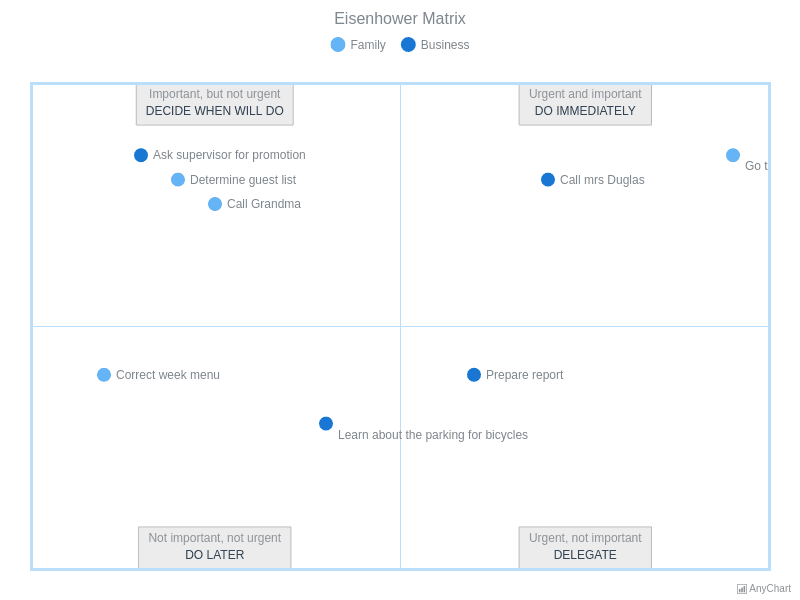 Eisenhower MatrixThe Eisenhower Matrix, also referred to as Urgent-Important Matrix. 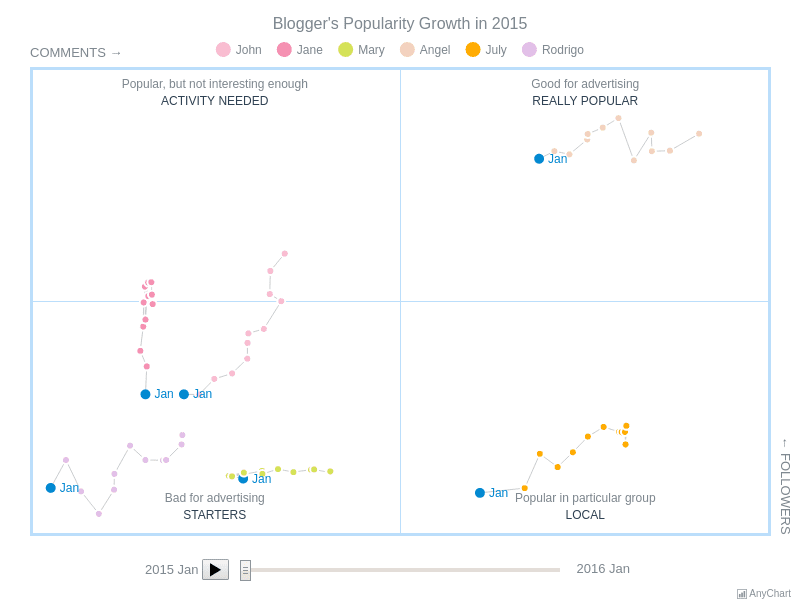 Quadrant MotionA quadrant chart which compares several bloggers' popularity, dividing them into those who are popular, those who are popular only in some particular group of audience, those who need more activity, and starters. 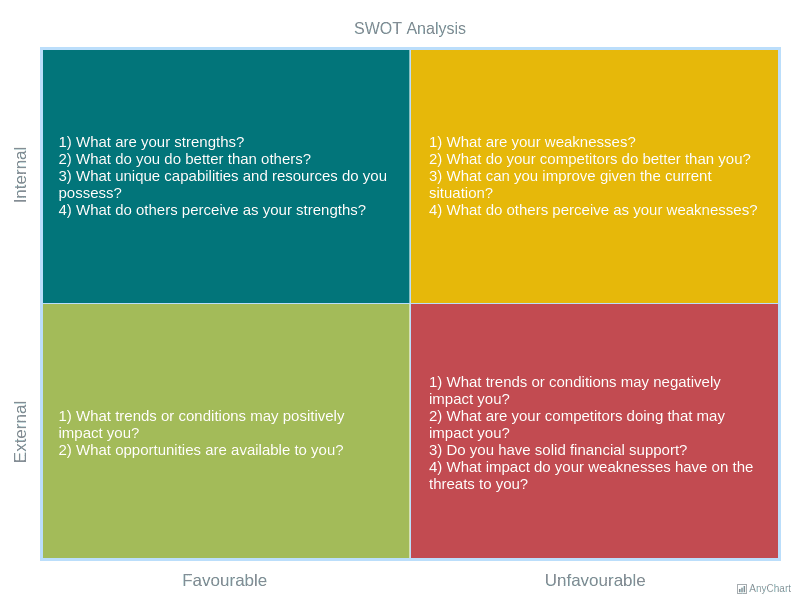 SWOT AnalysisQuadrant Chart for a personal SWOT analysis. Each square section is colored to enhance visual emphasis and categorization. 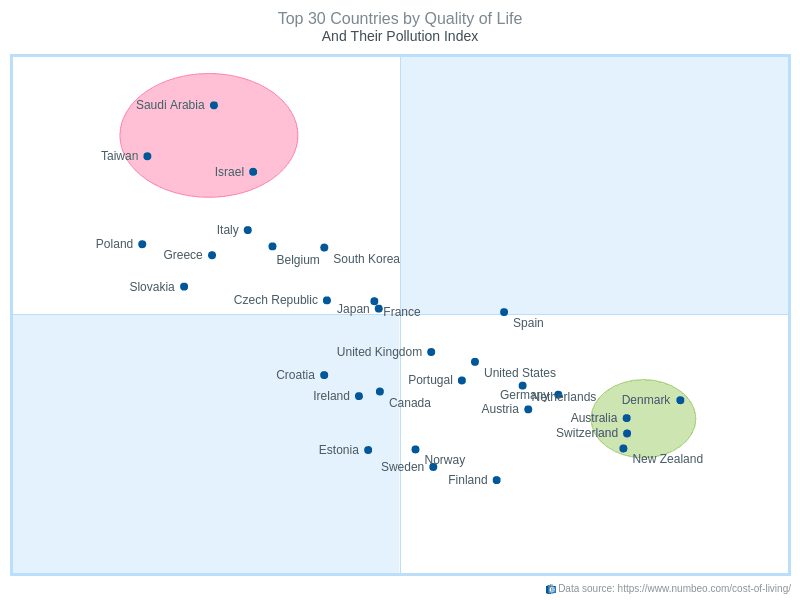 Top 30 Countries by Quality of LifeCountries distributed inside the quadrant according to the pollution and life index levels.